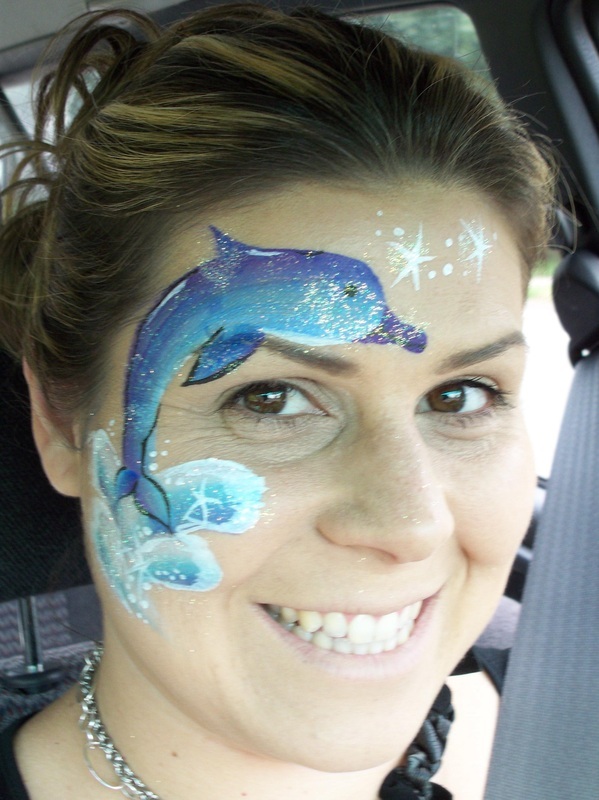 Face Painting is Live Interactive Entertainment for your event! I paint tons of designs for children, teens and adults. I specialize in full face, eye mask and body painting. I'm available for any event in Connecticut and surrounding areas! I use only FDA compliant cosmetic grade face paint and glitter, made specifically for the skin. Safety is my number one concern. I keep a hygenic work environment. FULLY INSURED!!! Face Painting is a magical experience...it transforms children of all ages into amazing creatures! When they look in the mirror they see tigers, princesses, fairies, butterflies, monsters, super heroes, puppies, bunnies, snakes, dinosaurs, aliens, ninjas, sharks, kitties and much more, all in a rainbow of colors that look larger than life! The children I paint will then parade around the party providing excitement and delight for all to see, along with a festive atmosphere! Your party will be the talk of your friends and family for days! Not to mention the priceless memories that will be made! I started painting in June of 2009. I have trained with world renowned face painters such as Wiser, Pashur, Jay Bautista, Mark Reid, Kerri Ann Smith, Sean Avram, The Wolfe Brothers and Christina Davidson. Along with technique, I also was trained in best and safe practices. I am a mom of two young boys, so I am used to pleasing even the toughest customer! Most of all, I LOVE what I do! ﻿Airbrush Tattoos are a new and fun option! They last over a week. They come in many designs and full color. Add this creative entertainment to your event! ﻿Are you or someone you know expecting? Cherish and commemorate the beauty that is a women's pregnant body by having your/their belly painted! Great to show off that beautiful belly for the baby shower or a photo session! I can paint any design that is unique to you and your growing family on your belly with professional FDA compliant body paint and glitter! Match your shower theme, nursery decor, incorporate symbols of your hopes and dreams for baby or create a scene with baby's name... these are just some of the options! I travel to where you live and bring everything needed to make your experience as comfortable as possible! This is a one of a kind keepsake!